"Why can't we hear more Peter Tosh on the radio? Why must it be on his birthday alone that we hear music from Dennis Brown?" Shauna McKenzie chose the name Etana because it meant “The Strong One” in Swahili – and strength is something she had to rely on throughout the early stages of her career. Born in August Town, Jamaica and schooled in Florida, she joined the girl group GIFT at the start of the last decade but became dissatisfied with the direction her life was taking. 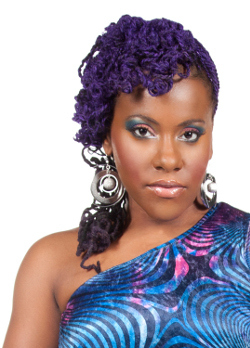 She returned to Jamaica to start an internet café business, but her huge voice was soon in demand, leading to a stint singing backing vocals on the road with Richie Spice in 2005. Determined to defy the lurid expectations for female singers with a self assured yet modest image, and fusing roots reggae with US soul, she released her highly acclaimed debut album 'The Strong One', in 2008, including the tune Wrong Address, which dealt with the prejudice faced by ghetto people trying to make their way. 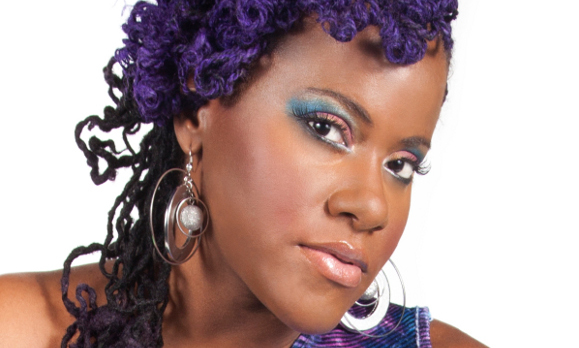 Now she is back with sequel 'Free Expressions' – which, despite its sweet soaring sounds, doesn’t shy away from the harsh realities of Kingston life, boasting the international hit single August Town on Curtis Lynch’s Inner City Lady rhythm. Angus Taylor spoke to Etana while she was in the USA, following the release of her empowering new video People Talk. Tell me about what your album title Free Expressions means to you? It's saying things how you want without being too concerned about the opinions of anyone. Just writing freely and saying it how it is. How do you think this album progresses from the last? For the first album I was a little bit cautious about the things I would write, even with the love songs. I had seven love songs on the first album and it was hard for me to do some of them because I didn't want to be so emotional and some of them weren't written by me. I only wrote one or two of them. For this album I did at least twelve songs on my own so I'm more comfortable as a writer. You spent time in America and Jamaica - has this had an effect on your music? Even with the first album The Strong One I did a fusion of R&B and blues - I think this is why some people consider my music as world music, besides reggae. I think the rhythm and blues comes from my experiences and my musical experiences here in America. You sing what you call soul reggae but on the track I Got You you sing a pure gospel soul track. Who are your favourite soul singers? Wow... I would say Gladys Knight and Stevie Wonder. When Gladys Knight sings her tone is just unbelievably warm to me and it goes deep in your bones. It goes to the bones when she sings. Stevie is the same in that you can hear the emotions from way, way deep and the lyrics take you far and beyond anywhere you are, from your own reality to somewhere else. And on the other side, your two favourite singers from Jamaica? Wow... Bob Marley - I have to say it! It sounds like something that just anyone would say but I have to say him first. And the next one, as a singer's singer - I have at least two or three more - but I'd go for Beres. When did you first discover the power of your voice? Being on the road with Richie Spice in 2005. Not that I wasn't singing before because I was always singing in high school doing the American national anthem but after being with Richie Spice people were requesting I come up and sing. What do you think are the ingredients for an artist from Jamaica to succeed in America and the rest of the world? I think you have to have an idea of the business as well as knowing what you want. You have to be very serious about it to go the extra mile to get where you need to go. And then be real with yourself. How do you think Jamaican artists are perceived abroad? Reggae is huge! I've seen people cry or pass out when they've seen their favourite artists. In any case, with any genre you will get critics as well as lovers of the genre, the music or the artists, but to me reggae artists are well received. You just did the video for People Talk - tell me about the concept. People Talk was written by Carol Dexter and myself and produced by C Specialist and a young producer called Rohan Dwyer. It's basically about people saying negative things about you to discourage you or bring you down, and saying never let people get you down, live your life how you want it and be happy living it how you want to live it. How do you personally stop other people's criticism from bringing you down? (laughs) I just keep going. I keep smiling. I pay no attention to it. Because I know that everyone will have their own opinion so I can't allow so many people to steer my direction or I'd be completely lost and confused. Tell me about working with Curtis Lynch, who you did a large portion of the album with. Curtis is really cool. We both listen. We both hear each other's opinions. If he hears a note that he doesn't like he may change it but otherwise he allows me to work freely and just sing it like I feel it. As long as I'm comfortable then he's comfortable. What do you think of UK reggae? I love it! I'll tell you why - I think that Europeans (not just the British but everybody in Europe) go really deep with reggae. They sometimes know even more than Jamaicans and that's being honest as far as I've seen. Some people - if not most - know a lot more about reggae than even Jamaicans right now, especially the younger generation. Especially when it comes to the real roots reggae and dubwise. They really go in and can give you the history of it all. When I perform in America and Canada I often find people singing back the songs but when I go to Europe people ask me to sing songs I have done that are not even in my setlist. They know all of them. So performing in London to me is crazy - they sing everything and are into the music really deep. I know you've spoken out on your twitter about some of the music you hear playing on the radio in Jamaica. What would you like to see change? Oh my god! You read my tweets! (laughs) I would like Jamaican djs and Jamaican people to appreciate reggae music. Yes, I have done some fusion myself with other genres but I think we are going too deep into hip hop and forgetting about the real bass line and the real drums in the reggae - the things that speak to the heart. For me right now, not everybody is a singer yet anybody can do a song and get it played on the radio if you have the right money. In America there is a lot of payola and thousands of dollars are spent on it from R&B to rap to whatever you can think of. However, the radio doesn't allow any music to be played on the mainstream radio if it's not up to standard. They won't even take the money to promote a song that's completely trash. Maybe once in a while something that may slide, but why does it always have to slide in the Caribbean? Unlike other cultural artists I've spoken to, your criticism seems to be more about the quality of the music than the lyrics. I guess I shouldn't be surprised given your album is called Free Expressions! Yes, because even if you listen to soca music which has been very, very popular for years in different Caribbean countries, they talk about some of the craziest things! Sometimes in parables and sometimes out straight and the kids are singing it all the time! To me, people look to reggae from all over the world and it's so popular. Then there's the difference between reggae and dancehall which sometimes gets confused. For some reason it's very important to Jamaicans and people all over the world that reggae is supposed to be clean and music of the heart, like Bob Marley or Bunny Wailer's music. However, yes, we agree that reggae may evolve and people may come in with different ideas and try something else. But when it comes to trashy lyrics and tracks that are barely produced in a studio by a five year old or something then placed on the radio - people around the world are listening to them on one of the biggest stations in Jamaica and hearing some crap coming out of it every day. It doesn't say much for the dj or for reggae in general. There's been talk of getting payola outlawed. Can that ever happen? I don't think we'll be able to get rid of payola. Jamaica is a small Caribbean country and if they can't get rid of it in America I can't see how they can get rid of it in such a small place. Jamaican people are fighters, they are warriors, they are unruly sometimes but they can also be the sweetest people in the world depending how you look at it. I'm just saying there has to be some kind of standard. When I come to England, Europe or anywhere else, I hear reggae music playing on the radio that I don't hear in Jamaica and would love to hear. It's crazy because this is the root where it all comes from so why can't we hear more Peter Tosh on the radio? Why must it be on his birthday alone that we hear music from Dennis Brown? Anyone who does great music like Marcia Griffiths - we don't hear those songs on the radio at all. It has to be a "throwback day" or some other special day. Instead you hear stuff that irritates you after half an hour. How has your life changed since you stopped being in a group in the US and became a solo artist in Jamaica? What have you given up and what have you gained? I've given up the ability to see my son every day. (laughs) I've given up some of my own personal time because I'm always working either on the road or recording. But I've gained a lot of young hearts - especially young girls who thought that the only way to do music was to talk about their sexual body parts and to wear nothing or maybe just underwear. I think I've changed that a lot. I've gained a lot of young hearts and true honest fans. On My Name Is you speak specifically to women. Which women in history do you admire most and what do they all have in common? Nanny of the Maroons, Oprah, Portia Simpson Miller, my mother and my grandmother. My grandmother the most of anyone in the world! (laughs) Will, courage, survival, inner strength. Woooh dat is good interview. Big up. Bless your words!! Reggae music is a higher profesion. Wow!!!!!!!!!! Lovely interview. You are interesting, motivating etc............ Keep it up girl! Blessings all the way. 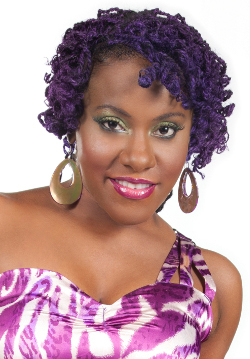 First I must say I am a big fan, Etana is a very rare shinning light in the singjay indurstry. the new album is good and should be promoted world wide not just in the caribean and America even though they are the biggest markets. lastly, I am Kenyan, swahili is my first language and whoever told you Etana means strong one lied, the closest it comes to that is call out...however like oldman shakes said long ago...whats a name, wouldnt a rose by any other name smell just as nice? Keep it up. Well Etana, I am really a big fan of yours, As an Elder in the reggae business, I'm verry happy to see another young Lady holding up the standard of the music in the true form in whitch it was created. My Hat is off for you and Queen Ifrica. Keep up the vibes and I hope we get some female singers to follow your footsteps. Jah Bless. Awesome, Etana you are blessed, I have three kids two girls one boy, 21 16 10. Your music made them connect with Jamaica and reggae, it shows my girls an example of self esteam. 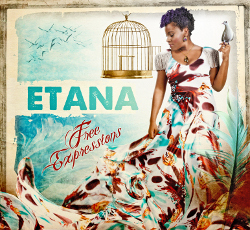 Etana, I love "I am Not Afraid" many time when I am feeling discouraged I sing that song. Good Luck with your collaboration with Penthouse Records. I am looking forward to those HITS! Etana I am proud of you never change your roots are your songs espacilly your songs thay always have a grate meaning see them coming after my soul.